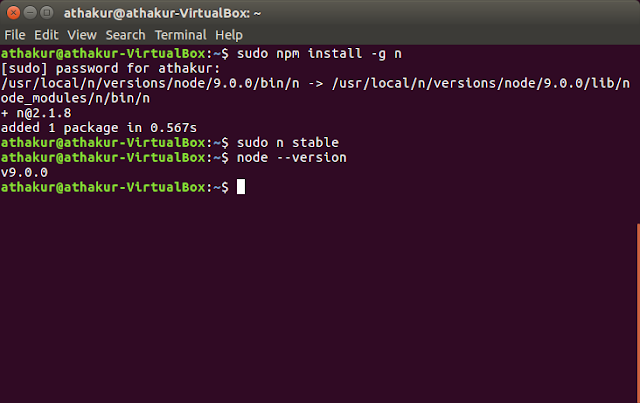 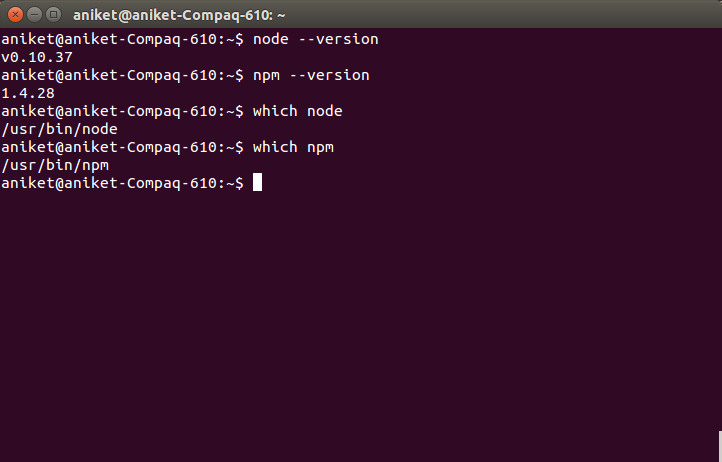 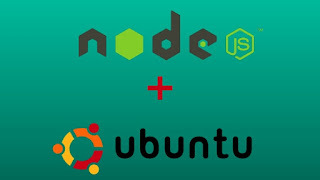 we saw how to install node and npm on widows and also saw running a demo program. 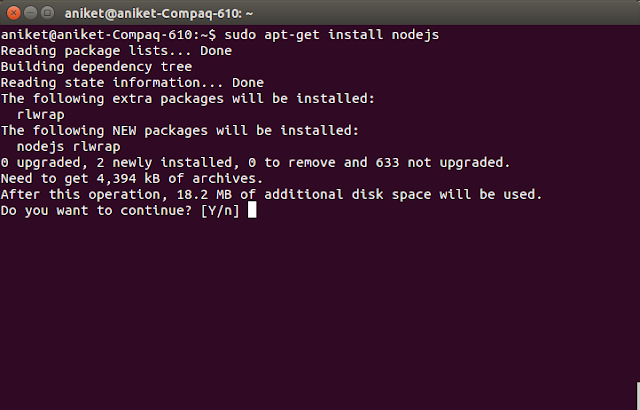 In windows it is as simple as downloading the installer and running it. 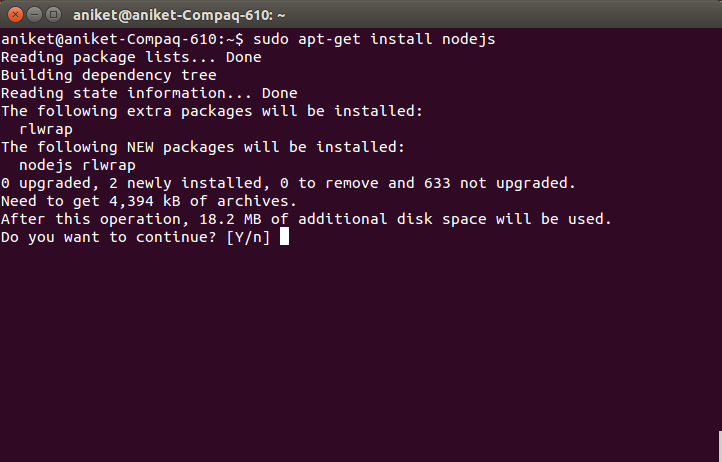 In this post we will see how to install the same in Linux using command line. 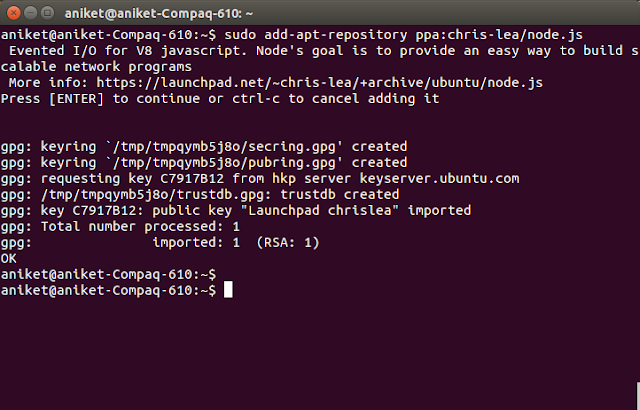 I am using Ubuntu so I am going to use apt-get to install software’s. 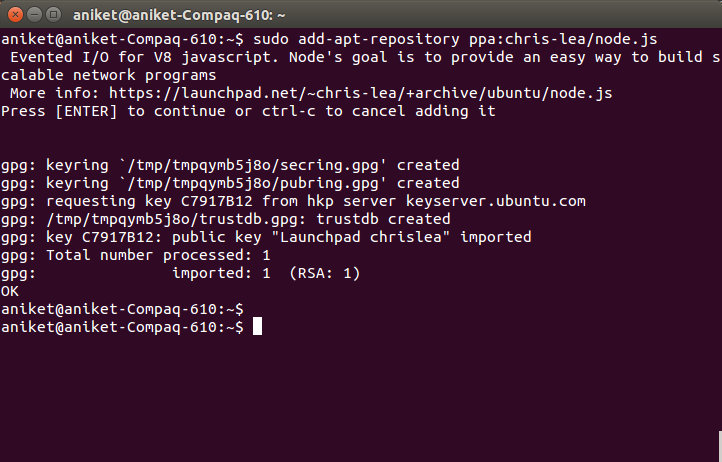 You can do the same using yum if you are using fedora or alike.